Don't forget I wrote like one of these tutorials/patterns, I collected the rest! Please visit the original links to view the tutorials & paterns & leave some nice comments for them. All my favourite free patterns and tutorials for little girl dresses aged brand spanking new to 7! Visit the lovely clever bloggers who make these available to us, for free, and comment! 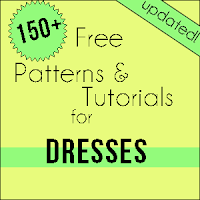 150+ Free Dress Patterns & Tutorials! Dresses marked with an * are new! Thanks for compiling these. its a great resource for all sewing enthusiasts. Also thanks for adding my coral reef dress to your list. Appreciate the shoutout! Here from pinterest. Love this always looking for dress patterns. This is so great! Thanks so much! THANK YOU! Yay!!! That's all I have to say. This is a very comprehensive list! Thanks! Thank you so much in advance for compiling these all in to one place!!! Very generous! :) can't wait to start sewing. Stumbled across this through Pinterest - THANK YOU SO MUCH! I am a beginner, and am determined to make my girls some pretty clothes! I really appreciate you taking the time to put these posts together! Stumbled across this on Pinterest - THANKS SO MUCH! 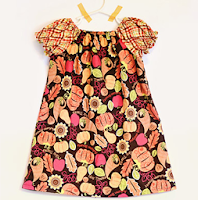 I am a beginner, and I am determined to sew my girls some pretty clothes! I really appreciate you taking the time to compile all these! This is an awesome list! Thanks so much. Thank you so much for including me in the incredible round up! I have found so many new dresses to go check out as well. Great list! Thank you so much for all the links to such beautiful tutorials. This must have taken you a lot of time and effort to compile together. I will certainly enjoy feasting my eyes on finding my favorites. I know you follow my blog as well, thank you for including a link to my smock pattern! Kymy ~ Everything Your Mama Made & More! Love it! Some seriously cute projects! I'm so glad I have granddaughters. Love it! Some serious cuteness! I'm so glad I have granddaughters! 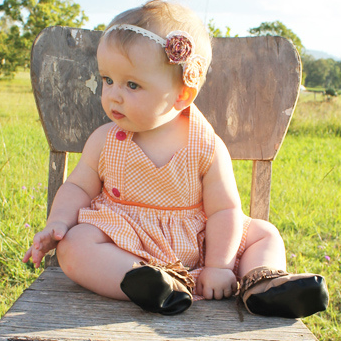 This is such a beautiful selection of free patterns thank-you for sharing this collection! This is such a wonderful collection of patterns thank-you for sharing them! Thank you so very much! 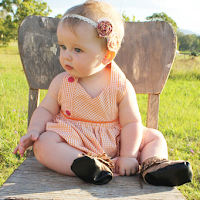 I have 2 granddaughters and 6 baby nieces and I am going to have such fun with your patterns. I cannot wait to get started. Thanks so much for posting this great list!! Thanks for putting this all together. You have just saved me hours of pinning and website surfing! Big love to bloggers like you who take the time to do amazing lists like this...I am just at the beginning of sewing my first season's worth of clothes for my two kiddos (and starting a new blog about it 'sewn by heart') and this, along with your other masterlists will make it a breeze to plan, thank you!!! Love this ... thanks for the inspiration! Thank you! 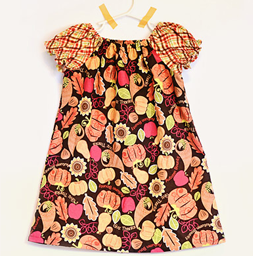 I am just getting into trying to make dresses for my daughter. Thank you!!! I just started sewing last year and am so happy I found your site!! Great resource- it must have taken you ages - thanks for taking the time to put these lists together! Thank you so much for all the time you must have spent putting this all together! Bless your heart for doing it. Thank you! I am a beginner sewer and these lists help me so much. I am overwhelmed but determined. This is awesome! Thank you for the perfect layout! This has made my hunt for birthday dresses so much easier! HOLA !! FELICIDADES POR TANTAS COSAS BELLAS Y MIL GRACIAS POR COMPARTIRLAS!! Wow! Thanks for putting this together. 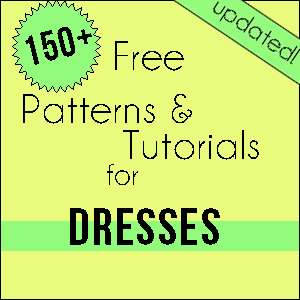 I have a couple of dress patterns/tutorials I'd be happy to add to your list if you wanted to next time you update it. Just let me know! Wow - thank you so much! These collection is amazing. Thank you so much! 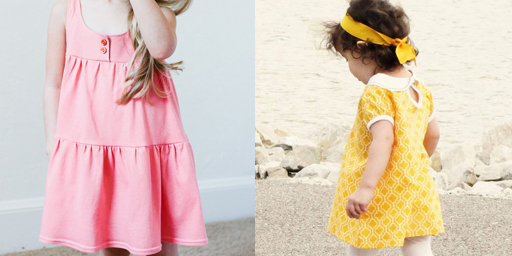 I have Pinterest board of little girl free summer dress patterns and the compilation is AMAZING! I'm very grateful!